Legal police searches generally begin with a warrant based on probable cause. However, there are exceptions to this. Warrantless searches may be allowed in a number of instances, but law enforcement must be careful not to tread on the Fourth Amendment. 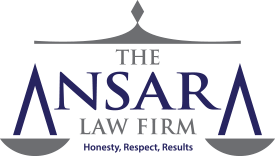 As Fort Lauderdale criminal defense lawyers at The Ansara Law firm can explain, the Fourth Amendment protects the right of individuals – including their persons, houses, papers and effects – from unreasonable search and seizure. Warrants cannot be issued but upon probable cause and must describe the person, place or thing to be searched. Without a warrant, prosecutors have a tougher time getting the court to agree to consider the evidence obtained as a result of that search. Judges prefer a warrant. Law enforcement officers obtain a warrant to search by convincing a neutral third party magistrate that probable cause exists. The grounds to obtain a search warrant are laid out in F.S. 933.02. However, the Constitution mandates only that a search be accomplished reasonably. In some cases, courts have recognized that warrants are neither reasonable nor necessary. These exceptions have arisen where the public safety interests outweigh an individual’s right to privacy. These exceptions to the warrant requirement are collectively known as “exigent circumstances,” reflecting that the general rule that the Fourth Amendment only bars unreasonable government action. The courts have held there are a number of situations where police have to respond immediately and without opportunity to seek prior permission from a judge. Those that involve enforcement of criminal law. Those that involve the community caretaking function of the police department. Suspect is likely to flee before police can obtain a warrant. There is a reasonable basis to associate the emergency with the area or place to be searched. The key in each of these circumstances is “reasonable.” Ultimately, it’s up to the court to determine whether a warrantless search was reasonable, and an experienced defense lawyer can help you make the case that it was not. When Can Warrantless Searches be Performed? Consent. If you voluntarily allow police to search your home, car, phone or vehicle, this is a consent search. Some people wrongly assume that by consenting to a search, police will take this “cooperation” as an indication of good will and cut them some slack. This is often an erroneous presumption. What’s worse, law enforcement usually don’t tell people they have a choice to decline these searches, which means without a warrant, police have no right to do so. The other thing people don’t realize they are giving up when they consent is the right to challenge that search later in court. Plain View. If a law enforcement officer can clearly and plainly see evidence of criminal activity before entering or initiating a search, the officer will be within his or her right to enter or search without a warrant. It should be noted the law enforcement officer can’t change the vantage point to see potential contraband, and the finding of this evidence has to be unintentional. For example, they can’t climb a tree to see into a house window. Incidental Search. These types of searches are allowed only once a police officer has already arrested someone. The purpose of these searches is to protect the officer and to preserve evidence in connection with the arrest. The officer can conduct a search incidental to the arrest, which can include the individual, as well as an area where the individual could acquire a weapon or hide/ destroy evidence. Here again, the search must be “reasonable” and it must be related to the arrest. Emergency Exception. Warrantless searches could be allowed in very extreme situations if the law enforcement officer has reason to believe someone’s personal safety is at risk or that criminal activity is currently happening. Frisk Search. These searches are allowed in the interests of safety, and they are limited in scope. A law enforcement officer can briefly frisk someone’s outer clothing for weapons. This isn’t a green light to search everyone. The officer/ trooper/ deputy has to be able to articulate some specific facts that gave them reasonable suspicion to stop that individual in the first place. If during that frisk, the officer feels other items, such as contraband or drugs, those items can be seized. The law enforcement officer has to use the least intrusive means available, which usually limits an officer to reaching into someone’s pocket. If you have been arrested and were subjected to a warrantless search, consultation with a skilled Broward defense attorney can help to ensure your rights are protected.